Some people loved it. Some people told me they absolutely hated it. One even told me he didn’t even understand why anyone on earth would like it. 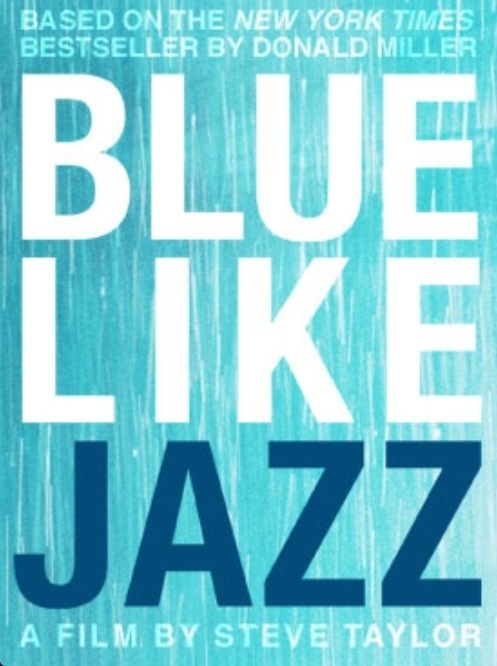 Donald Miller’s very popular book, Blue Like Jazz, hits the big screen today across the country. I wonder what people will think. I wonder what those who might be labeled “evangelical republican” will think of it. I wonder what those who might be labeled “evangelical democrat” will think of it. I wonder why we have so many labels, especially ones that define people on presumptuous religious notions and volatile political stances. We need fewer labels and more love. Maybe the movie will address that issue. I will say this. I liked the book. It was fresh. Well-written. A great story of a guy whose staunch religious upbringing was transformed into a growing relationship with the God who came near. I plan on seeing the movie. Will you? I’d like to know if you are willing to share. What did you think of the book? Will you see the movie? If you got to see a preview of the movie, please give your thoughts of review. “You think they might be bored if we just show my life the way it is,” I clarified. I guess I was asking for reassurance that my life was okay. “I think they’d stab each other in the necks with drinking straws,” Steve said. That’s funny. I bet it had to be weird to be told your life was interesting enough to be a book but wasn’t interesting enough to be a movie. We shall see. I read the book and saw an advanced screening of the film. I loved both. I loved how the movie shed light onto the way a skeptic/cynic thinks. (I too, am a cynic by default and I thought it portrayed some of my feelings accurately.) It really peeled back some layers and hit at some core issues of this generation’s uncertainty toward faith in general, and toward Christianity in particular. Yes, there were some things that were hard to watch, some will say offensive … especially the satire of evangelicalism. But they were hard to watch and they made me cringe because they resonated as true. I suppose some of our tribe will not like the film because it did not overtly communicate a Gospel message. I don’t think that was the point. I think it was meant to be an honest portrayal of the post-Christian context we are finding ourselves in more and more. And I think it was successful in doing that. Great word, bro. Always appreciate your perspectives. Jason, I have not read the book, but I was asked to show a video of his to a small group a few years ago. Something about “Your Story”. Prior to agreeing I watched some interviews with the author online since I knew nothing about the him. Some that we’re disturbing. I didn’t agree to show the video. I agree we need more love & less labels, but we must never compromise Truth. Since you like him, I may reconsider because I value your opinion & know your heart. I just wanted to communicate that some of the interviews I saw of him a few years ago disturbed me. I hear you on your caution. That’s why I started the post the way I did. Like everyone, there may be elements that will push us to think a little differently or to think through what we believe. It is never a bad thing, especially if it helps us process our beliefs to be not only in our head but lived out through our feet and hands and lips in ways that make the Gospel come alive in daily rhythms. And like every book except the Bible, there will be things we are cautious about. The Bible disturbs me a lot, in my selfishness that is, but I know I need to grapple with its declarations. Books like Miller’s are one guys perspective, one guys story. And our stories matter, because they are our expressions and ponderings as we wrestle with God, too. Always worth hearing, because people matter. Always conversation starters, too. Hope this clarifies. I simply thinks Miller’s book is an engaging story worth conversing about as we all try to live sent. Give James and the kids my greetings. Yeah, my mom told me she saw you and she really enjoying hearing you speak. I think she was challenged, which is always a good thing. I hear you about Miller and I agree we do need to hear the stories of others. It does make us THINK and really understand how differently people perceive their upbringing, etc. Without looking up all the interviews I will just tell the main thing that I remember that I remember that disturbed me and let me just say while I do understand what he is trying to say, “How he says some things and even how he seems to ‘throw the baby out with the bath water’ at times really disturbs me. Jason, I get that many of us have grown up in a very rigid atmosphere at home and at church; however, we must be careful not to swing the pendulum so far that we sound disrespecful and mock others. I don’t see love in that either. I do know that Jesus was quite stern with the Pharisees; however, I really don’t think there is anything wrong with Richard Foster’s book and the problem with the Pharisees was their HEART. Some of Miller’s interviews I found were very disrespectful and while we do need to talk about the rigidity and call it what it is….”Do we not see that we can become the very thing we claim to hate, but on the opposite end of pendulum?” In all our attempts to walk in love and grace, we can become full of judgement and disrespectful towards others that we could actually learn from as well. Discipline is not bad. The Disciplines of prayer, study, meditating, fasting, worship, etc. that Foster talks about are not bad practices, but they are not the END. I get that. 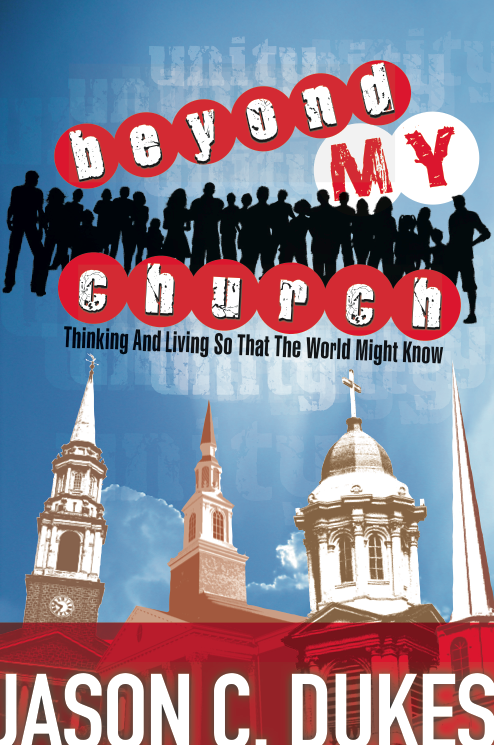 The Bible is about God, Church is about God, Our Lives are about God. The end is GOD. I find myself in a constant struggle to give people like Miller an ear, because rather than refreshing it hits me as disrespectful. However, I am willing to try to get to know his heart. Jesus prayed that we would be ONE as He and the Father are One. BE ONE, is one of the most challenging “BE” commands for me. It’s much easier to just DO something than to BE.